Swim-up suites have Bali beds and direct access to the pool. 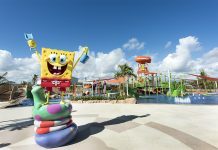 The all-inclusive Majestic Mirage Punta Cana opened in January 2017, right next to Majestic Elegance. The all-suite resort features 511 one-bedroom suites. The new Majestic resort is more adult oriented, with five exclusive buildings dedicated to adults and two buildings for families with children. One-Bedroom Suites: The standard one-bedroom suites have pool views and are located on the second and third floors of the family section. They feature separate living and bedroom areas, and outdoor Jacuzzis. Swim Up Suites: The resort’s swim-up suites are located on the ground floor and offer direct access to the pool and a small garden including a Bali Bed. Sky View Suites: Sky View Suites are divided into two floors — the main room plus a large roof top terrace with outdoor Jacuzzi and a Bali bed. These suite types are also available at the Mirage Club, the resort’s adult-only section. The Mirage Club is separated from the main resort by a natural fence, so adults can enjoy exclusive amenities including eight private pools with Bali beds, a private beach, and two rooftop lounges with ocean views. 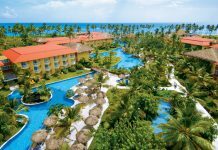 Majestic Mirage Punta Cana offers a range of dining options, buffet and a la carte restaurants. Premium drinks will be offered at all bars throughout the resort. Activities at the resort include non-motorized water sports, tennis, a spacious gym and running track, a game room and more. 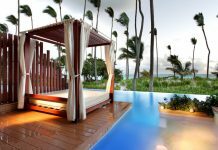 Majestic Mirage Punta Cana is located 30 minutes from Punta Cana International Airport (PUJ). 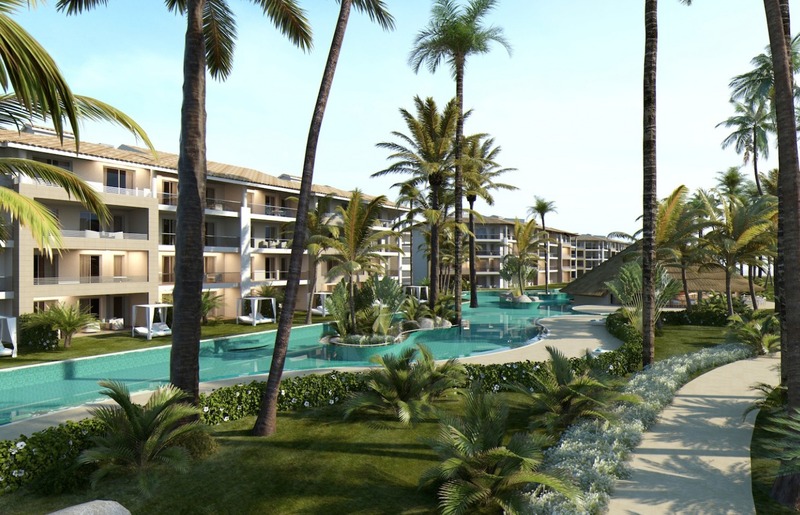 For more information, visit Majestic Mirage Punta Cana’s website.